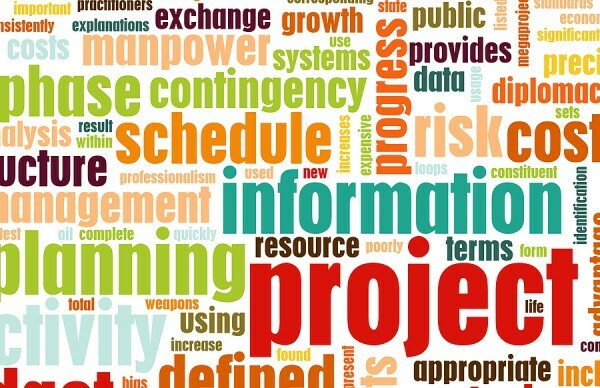 Project Management as a professional career has certainly matured. While once delegated to a function within other jobs, project management is now a distinct career itself. The profession owes a lot to PMI, the professional certification and member organization that formalized a lot of the disciplines of successful project management. The growth of standards and certifications fueled the practice to become a profession instead of a simple discipline. Project managers currently enjoy a very healthy job market and prospects for future growth. Internationalization, outsourcing, and the boom in enterprise technology accelerated the growth of project management jobs and forced it into mainstream career paths. The past growth of the career is obvious, but what are some emerging trends for the career? The profession keeps innovating to meet these changes and trends, but if you’re already in the profession or thinking of getting into managing projects as a profession, you’ll want to give some thought to these developments. Rapid Growth: Project management, according to the easy graphs on Indeed.com, is enjoying rapid growth and popularity. In the past five years, project management has appeared to grow about 30%. If you are in or just entering a profession in high demand, it’s generally a good thing. However, as job markets heat up, competition and specialization tend to increase. As positions and opportunities expand, being a career project manager is not good enough – positions will increasingly require other specialized knowledge, such as security, mobile technology, etc… Hot job markets are great, but they tend to demand constant vigilance to stay on top of a rapidly evolving practice. Globalization: The initial stages of globalization, which included technical development and manufacturing off-shoring were actually positive developments for project managers. As off-shore project teams ballooned in size and complexity, there was a great need for management resources onshore. However, the next stage of globalization may not be so friendly to the profession. Offshore project teams are increasingly self-governed and managed. As the past ten years have offered a tremendous influx of knowledge and experience, more firms are offering end-to-end project services. Project managers would do well to gain experience working in portfolio management as well as gathering fiduciary responsibilities. These skill sets are still far from the scope of most project engagements. Fast development: Agile development has of course gained popularity for technical projects. However this trend does not represent just a shift into formalized Agile development methodology more than a broad shift toward rapid change and iteration. For project managers, this shift should not signal to simply incorporate Agile methodology into their project plans, but rather create a call-to-action to remain relevant. Project plans often require incredible complexity and layers to reach distant milestones. That world is changing – projects for many companies are about what happens today, what happens next week. The overall trend toward speed, simplicity, and user and stakeholder participation and buy-in should signal project managers to design and plan for projects under constant change. Certification: Any hot job market will create additional qualifications out of necessity to screen and select applicants. Project management jobs are no different – various certifications have sprung up, the most obvious one being the PMP designation. As the profession of project management matures, as in any other industry, the general trend is for certifications to become mandatory. As corporations and recruiting firms can pick among an increasingly large universe of project manager candidates, they will naturally move to have something to weed out the first 50% of any given candidate set. Certification is often the easiest way to do just that – much like a college degree has become a must instead of a plus for many professions. If you don’t have the primary certifications to be a project manager, it might be time to get it, even if you don’t agree in principle with some of the tenets or philosophy. Additionally, expect project management certifications to become highly fragmented and numerous. Consider adding specialized certifications in any area that you wish to pursue. Talent Development: In any hot job market, a required skill for the practitioner becomes recruiting other practitioners. For example, a key skill for a portfolio manager is now recruiting project managers and effectively judging their skills and competency. Judging project success and outcome is a very difficult task for managers external to the companies where the projects were performed. How do you judge the past work of project mangers? It’s more than interviewing skills – senior level project managers need to understand how to gauge the success and stresses of projects in which they had no involvement. This means developing a rigorous set of standards for assessing projects and project outcomes. Recruiting and even managing other project managers will become a key differentiation point. In the war for talent, you want to be the general – find ways to get experience hiring, interviewing, and assessing other professionals in the field. Project management jobs are in high demand right now because of both macro-economic/global factors and the evolution of the craft into a profession. However, with that growth comes increased interest, demand, specialization, and competition. If you are enjoying the career or looking to become a project manager, know that you must keep of top of your craft and industry trends now more than ever in order to succeed in the market.